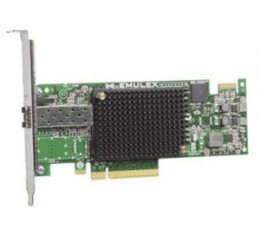 The PCI Express (PCIe) 3.0 LPe16000B 16Gb Fibre Channel (16GFC) Host Bus Adapter (HBA) provides outstanding input/output operations per second (IOPS) performance—20% more than other 16GFC HBAs, plus lightning fast response times and 4x better IOPS performance per watt making it the clear choice for the toughest virtualized, cloud and mission critical deployments. With almost 1.2 million IOPS, it is ideally suited for FC connectivity to solid state disks (SSDs) and new multi-core processors. Its advanced management functionality can shave days off installing and managing adapters. The LightPulse® single-port LPe16000B feature the Emulex bullet-proof driver-stack, backward compatibility to 4GFC and 8GFC HBAs and rock-solid reliability with a heritage that spans back to the first generation of Fibre Channel to today’s 16GFC HBAs. The Emulex LightPulse highly integrated multi-processor design minimizes onboard components to improve host performance and efficiency. Advanced error-checking features ensure the integrity of block data as it traverses the storage area network (SAN). 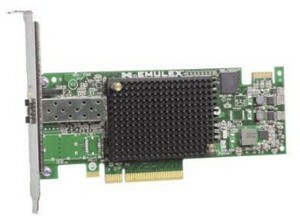 Emulex’s firmware based architecture enables feature and performance upgrades without costly hardware changes. The unique 4th Generation Service Level Interface (SLI™) allows use of a common driver across all models of Emulex HBAs on a given operating system (OS) platform. Installation and management facilities are designed to minimize server reboots and further simplify deployment. The Emulex OneCommand® Manager enterprise-class management application features a multi-protocol, cross-platform architecture, that provides centralized management of all adapters provided by Emulex. This enables IT administrators to manage network connectivity with one tool for maximum efficiency. OneCommand® Manager plug-in for VMware vCenter Server—enables comprehensive control of Fibre Channel HBAs and network (FCoE, iSCSI and TCP/IP NIC) connectivity solutions provided by Emulex from VMware’s vCenter Server management console. Doubling the maximum FC link rate from 8GFC to 16GFC and enhanced virtualization capabilities, help support IT “green” initiatives. End-to-end data protection with hardware parity, CRC, ECC and other advanced error checking and correcting algorithms ensure data is safe from corruption. Enhanced silent data corruption protection provided by T10-Protection Information (T10‑PI). T10-PI provides additional protection against corruption in Oracle Unbreakable Linux environments. Universal boot capability, allows the appropriate boot environment to be automatically selected for any given hardware. Boot from SAN capability reduces system management costs and increases uptime. Detailed, real-time event logging and tracing enables quick diagnosis of SAN problems. Beaconing feature flashes the HBA LEDs, simplifying their identification within server racks. Environmental monitoring feature helps optimize SAN availability. The Emulex OneCommand Manager application enables centralized discovery, monitoring, reporting, and administration of HBAs and UCNAs provided by Emulex on local and remote hosts. 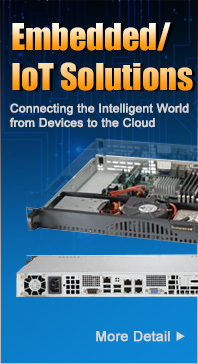 Powerful automation capabilities facilitate remote driver parameter, firmware and boot code upgrades. Advanced diagnostic features, such as adapter port beaconing and adapter statistics, help optimize management and network performance, while the environmental monitoring feature helps to maintain optimum host-to-fabric connections. In addition to the GUI interface, management functions can also be performed via a scriptable Command Line Interface (CLI) as well as a web browser. Emulex’s management instrumentation complies to open management standards, such as SMI-S and common HBA API support, which enables seamless upward integration into enterprise storage and server management solutions.